I am not a kind person. Okay, so really I am. Almost all of the time. But when I’m not, I can’t even stand to be in the same room with me. This morning I got upset with or in front of every person in my house, except for the baby, and he was still asleep when I left so I’m not sure that he counts. 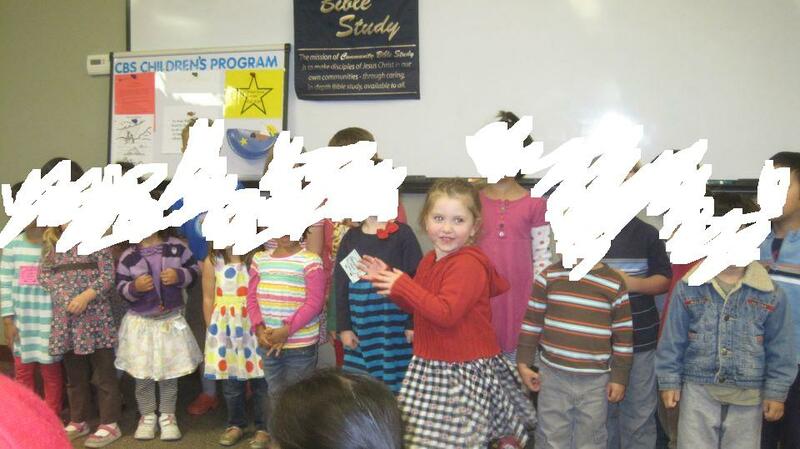 My three-year-old had her first singing “performance” this morning. She and the other cutie-patootie Pink Lambs were singing their memory verses. Rachel missed it last time (because the baby was sick), and I didn’t want her to miss it this time. And last week the class leader very, very specifically said to “be on time,” because the late kids would miss out. looked for emotional support from my mom for the crap I have to put up with, which she responded to by reminding me of how snarky I’d been as a teen. So. Not. Helpful. So then I got snappy with my mom while my simply-excited-to-sing daughter sat in the back seat hanging on my every ugly word. I slumped in my straight-backed chair feeling very sorry for myself. Why was everyone so grumpy and hard to deal with when I’m always Little Miss Sunshine? Why do they push me to such frustration? It just wasn’t fair. The icing on the cake was finding out, after getting there on time, that the program had changed: the kids were scheduled to sing at 10:40, not 9:15. I slumped lower in my chair. I felt like a big old idiot for my ugliness and rushing. Don’t I always say things work out how they’re supposed to so we should just go with the flow? Aren’t I even a little smug when others are freaking out and I stay calm? Why did I have to (re)learn the lesson that it’s always, always in the mama meltdowns that I end up being WRONG? It just wasn’t fair. I tried to listen to the guest speaker, a missionary who was giving a talk on her AIDS orphanage in India, complete with heart-wrenching photos. My mom nudged me and said, “now THEY have problems.” I knew she was right. Knew I should be more thankful, but still I felt icky. Icky and discouraged, and like the heavy task of trying to be a relaxed, easy-going mama for my household was on my shoulders and I was just too weak to hold it. “Filthy, weary, discouraged women.” And oh, we are! (Well, maybe not filthy.) Every smiling woman I know is weary and discouraged somewhere, somehow, some way. When the weight gets too great, we stop smiling and start shouting. Or even if it the weight isn’t too great (read: me stressing over being on time and ending up being 1.5 hours early, and really is being on time worth alienating 5/6 of my household? ), we shout anyway. And then we cry, most likely in the shower since that’s the only place we’re ever alone. And if these other women are anything like me, they tell themselves they will be nicer. They will not snap and then feel guilty. They will be the light bearers for their homes. And we should be. But it’s a mixed bag: we should forgive ourselves for our infrequent breakdowns (thanks, o-friend-of-mine for donning your priestess robe and waving your arms and reminding me we all fall short). But…. maybe we (read: I) should be a bit more relaxed. A bit more trusting in how things will play out. Sort of like those other weary and discouraged women. And this is where I tie it all back, nice and neat, to those women who got the surprise of their lives just when they were at the lowest of low and thought all hope was lost. But honestly, I just don’t think my little bitty issues can be analogous to something so awesome. But I can tell you that’s what I was thinking. Anyway, the singing was great. This entry was posted in First World Problems, Leaning In at Home, The Absurd, The Faithful, The Ironic and tagged faith, Family, home, India, mother, motherhood, parenting, People, Women. Bookmark the permalink.